Leasys, the FCA Bank subsidiary that develops and offers comprehensive and innovative mobility services, has launched U-Go which is a peer-to-peer car sharing scheme. With U-Go Leasys, customers seeking new, smarter, safer, no-waste mobility solutions can share their car. 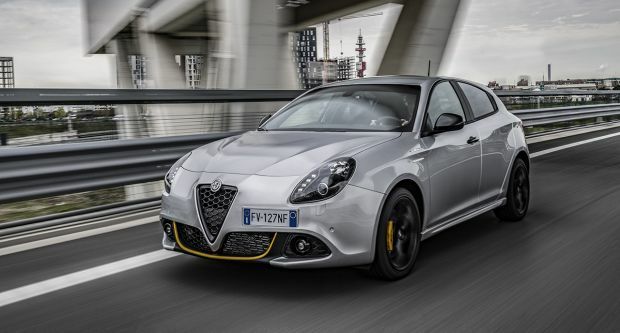 The company has partnered with Alfa Romeo Giulietta MY 2019 that will allow the users called U-Go Players to make their Giulietta available to U-Go Users who need a car for a few hours or a few days. The ugo.leasys.com platform, accessible both from the website and from the app, is where Players and Users can meet. Players sign up indicating the features of their cars, availability time and daily rate. Users, on the other hand, can sign up and locate a car by city and period of interest, arranging the pick-up and payment with the U-Go Player. At the end of the sharing period, they can review each other. That is how U-Go turns social, creating a community through direct feedback and a peer-review system that fosters virtuous reputation mechanisms. The U-Go service includes the Leasys short-term rental solutions in addition to those of the retail sector. The cars are available at special, advantageous rates allowing U-Go to provide widespread response to local mobility needs. U-Go by Leasys has just recently launched in Italy. It is being internationalised and will land in France, Spain and the United Kingdom in September 2019, and in the remaining countries where Leasys is present by the end of the year. It is being claimed that U-Go by Leasys is growing rapidly and will reach 50,000 registered users by 2021.